Telephone services that provide instant support, to individuals experiencing a wide range of emotional problems and issues, have become a popular and accessible way to offer guidance to those most in need. Mostly run by trained volunteers, this type of service must also provide relevant and updated support to all counsellors who man this telephone network. Supportline services are run so that individuals who require guidance and emotional support are able to access a 24 hour service from wherever they live. A supportline counselling service will be able to deal and support issues that may include depression, violence, bullying, abuse, mental health issues, stress, anger, addictions and other issues that cause difficulties and anxiety. Counsellors and support staff members will be trained to deal with different aspects of support and will undergo specialist training that is usually refreshed after periods in service. In order to be able to provide the best level of care and support, prospective counsellors and support team staff will be expected to be in good emotional health and to be self-aware. Without being fully aware of personal emotional issues a counsellor will not be able to provide the correct level of support needed by others. What Makes a Good Supportline Counsellor? Building rapport with a caller is essential. 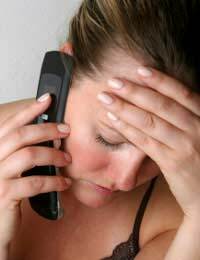 Counselling supportline staff must be able to make the caller feel comfortable about discussing and disclosing personal problems and issues within a short space of time. Being an openly empathetic and compassionate counsellor will help callers express their concerns and will enable the service provider to meet the needs of the individual callers. Sensitivity and professionalism must be apparent in equal measures and these are the key qualities of any good counsellor or volunteer staff member. All counsellors, whether providing support face-to-face or over the telephone, must follow a Code of Ethics as well as a Code of Practice. In order to improve understanding of the level of emotional support they may be required to provide, all prospective volunteer members will be trained in effective communication. Communication over the telephone must be clear. Effective communication skills training will enable a counsellor to improve listening and questioning skills and provide an understanding of handling difficult issues. Supportline training will also offer insight into how to deal with emotionally challenging situations and handle traumatic events. This type of intense training programme usually lasts a period of weeks and will include opportunities to role-play situations in order to gain greater insight and personal awareness of the needs of callers. Being able to communicate clearly and with understanding and compassion is an essential part of providing good supportive services, whether in person or by telephone. Telephone staff are trained to handle callers who may be suicidal or experiencing other challenging situations and feelings. Supportline training offers counsellors an opportunity to increase their personal understanding of strategies that are effective in defusing those feelings and encouraging expression of emotions. Attending Supportline training sessions will equip the counsellor with role-play practice, a greater understanding of the depths of emotional issues that callers may be experiencing and techniques that can be successfully used to acknowledge and support difficult contacts. Understanding how to handle each call with professionalism and sensitivity is the aim of this type of training and counsellors are expected to be monitored, and in some cases mentored for a period of time after training has been satisfactorily completed. The emotional health of any individual who regularly offers support and guidance, to people experiencing emotional difficulties and problems, must be balanced. Without good balance, providing support to others will become difficult and in some cases harmful to a counsellor’s own emotional wellbeing. Emotional balance is generally shaped and maintained by personal life experiences, knowledge and skills developed whilst overcoming difficulties. A counsellor who experiences a shift in mood, feelings and confidence may be expressing early signs of emotional support fatigue. Making time to relax and care for yourself must become a priority at this time, and maintaining a healthy diet and lifestyle will also help address growing problems. Getting adequate sleep and exercise will also help in shifting negative feelings. Talking openly about your personal concerns, to a supportline supervisor will also alert others to the fact that you may need increased support at this time. I worked as a professional family counsellor for two years where I used to deal family issues as well as emotional issues in India. Later I moved in career as a program manager for various organisations. I would like to continue my counselling skills so that I will be able to reach out people who needs support. Can you guide me whether there are any opportunity to work online ? As we are a UK-based site, we can only advise on UK-based counselling service which unfortunately wouldn't apply in India. Hi, I have recently enrolled on a level 2 counselling course with the intentions of progressing to level 3, then level 4. Would a level 4 CPCAB be enough to become a registered counsellor and get adequate work from? hi i am currently studying my basic counselling course.i path i want to take just need some advise on how i could get some voluntry practical experience. I enjoy the articles ,I am a health care professional by background registered in child health and adults,specialised in community advanced practioner in long term conditions for 20 odd years before having a near death experience and changed pathways ,now have a dip in counselling and pyschotherapy,but at a crossways of where to go next with my despir efor change and start up my own business,ifeel at ease with integrative pyschotherapy and prefer humanistic approah ,but very passionate working as a counsellor in a voluntary capacity for various agencies how effective outcomes have been and seeing changes without medical models and drugs transform lives.Thanks for the emails and information its appreciative a sit can be lonely when not part of a team.